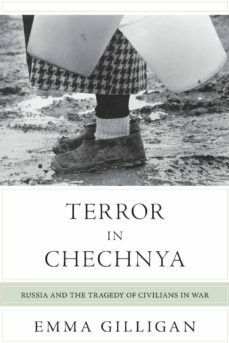 Terror in Chechnya is the definitive account of Russian war crimes in Chechnya. Emma Gilligan provides a comprehensive history of the second Chechen conflict of 1999 to 2005, revealing one of the most appalling human rights catastrophes of the modern era--one that has yet to be fully acknowledged by the international community. Drawing upon eyewitness testimony and interviews with refugees and key political and humanitarian figures, Gilligan tells for the first time the full story of the Russian militarys systematic use of torture, disappearances, executions, and other punitive tactics against the Chechen population. In Terror in Chechnya, Gilligan challenges Russian claims that civilian casualties in Chechnya were an unavoidable consequence of civil war. She argues that racism and nationalism were substantial factors in Russias second war against the Chechens and the resulting refugee crisis. She does not ignore the war crimes committed by Chechen separatists and pro-Moscow forces. Gilligan traces the radicalization of Chechen fighters and sheds light on the Dubrovka and Beslan hostage crises, demonstrating how they undermined the separatist movement and in turn contributed to racial hatred against Chechens in Moscow. A haunting testament of modern-day crimes against humanity, Terror in Chechnya also looks at the international response to the conflict, focusing on Europes humanitarian and human rights efforts inside Chechnya.